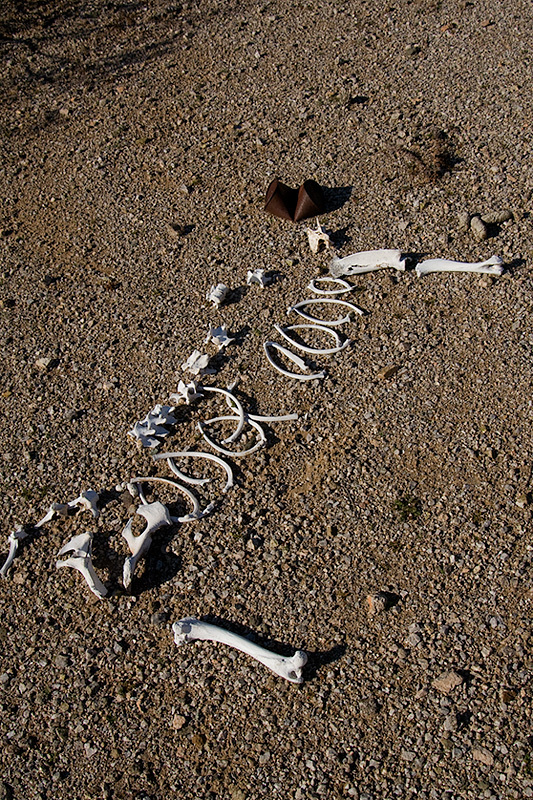 The bones of the unidentifed dog have received a visitor. Judging by the size of the big dried turds up by his front paw and the small ones down by the base of its tail it could have been visited by Brother and Niece? Mom and Son? Dad and Nephew? Who knows, it's nice to know the dead has been visited.